Superior Accuracy Guaranteed – Ideal to use as reference cells. Submersible Versions Available – Perfect for marine and off-shore applications. Let us do the work for you – The CCDHA can be supplied as a complete system. The CCDHA high accuracy column load cell is designed for use in applications where precise compression measurement of mid to high loads and forces is required. The majority of high accuracy CCD canister load cells that we manufacture are used as reference standards for the calibration or verification of other force transducers and testing machines such as concrete cube crushers and compression testers. 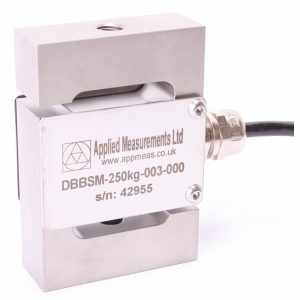 The CCDHA high accuracy column load cell can be supplied with a BS EN ISO 376 calibration certificate issued by a UKAS laboratory or the National Physical Laboratory (NPL) if required. A lower-cost standard version of the CCD load cell offering accuracy of <±0.25%/RC is also available where outright performance is not required.